Promote American products! 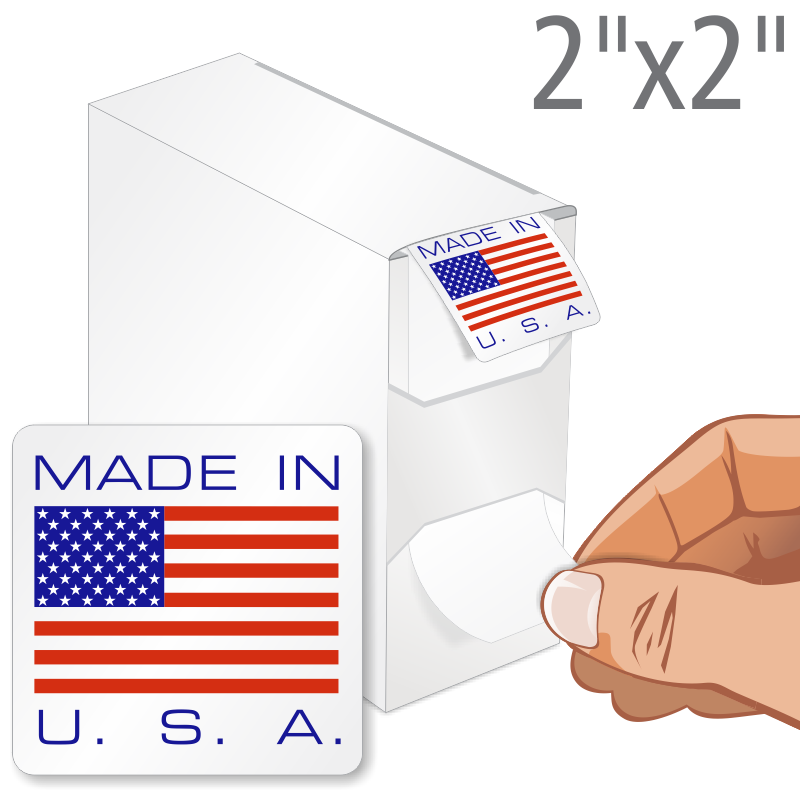 'Made in USA' labels with flag can be used to show the country of manufacture and origin. 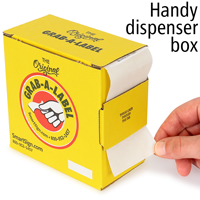 Labels come in a handy Grab-a-Label Dispenser Box. 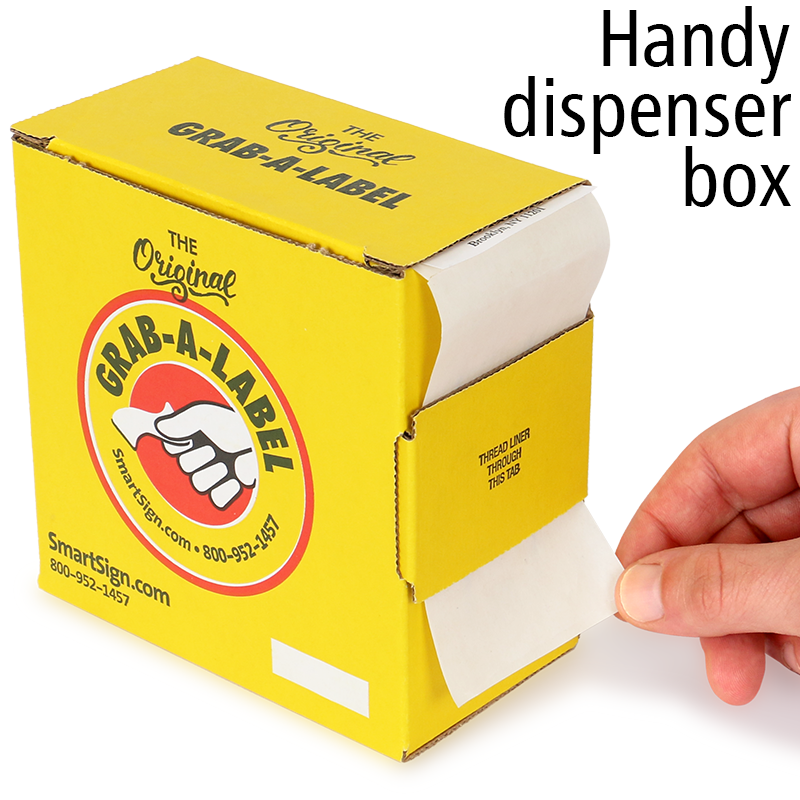 • Made from semi-gloss 2.6 mil paper that can withstand light contact from most chemicals and is ideal for chemical containers. • Semi-gloss paper reduce glare, without compromising the vibrancy and sharpness of your message or graphic. • The tackified .7 mil acrylic adhesive is permanent and provides good adhesion on an array of substrates. 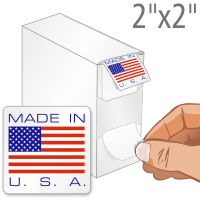 • Labels have a Kraft white 41# paper liner that is disposable. • Labels are flexographically printed, using UV stable durable inks. • The service temperature range is -65°F to 200°F (-54°C to 93°C) with a minimum application temperature of 45°F (7°C). • Semi-gloss label material is receptive to permanent inks. Great quality labels. Thank you. Fun to add to every order I ship!